An 1840 model "wrist breaker" US cavalry sword / sabre made by PD Luneschloss clearly for the Confederate Army in Mississippi during the American Civil War. An interesting sword in very good condition with an even more interesting story behind it. Bought with a story it came from the American South years ago directly after the US Civil War, the markings confirm this. The ricasso / forte of the blade has been clearly "cleaned" by the maker; the maker's name has been removed. 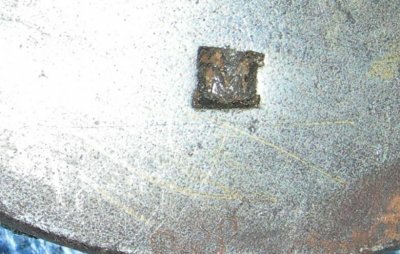 However, they did not obliterate all of the maker's mark and the bottom line of dots that makes up the famous PD Luneschloss logo can still be clearly seen. Foreign makers such as Luneschloss provided the Confederate Army with 1840 Model cavalry sabres as the newer 1860 Model from Northern US based makers obviously became impossible for the Southern army to source. 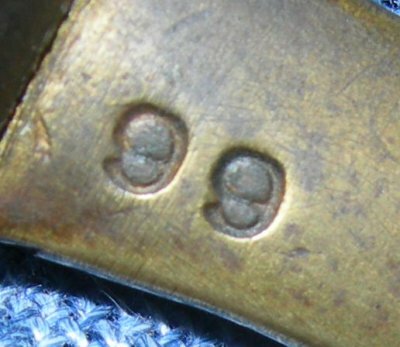 However, wishing to be discrete and not upset the Union, foreign maker's either did not mark or removed the markings on blades to the south. There are many unmarked blades on foreign made 1840M's that come onto the market but most of these never saw the USA let alone action. 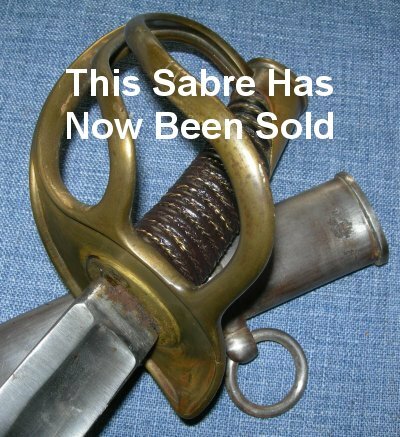 This sabre not just made it to the USA but also was accepted into service, given both scabbard drag and hilt rack number stamps. The scabbard is stamped "M" for Mississippi, the hilt stamped "99" for sabre / rack number 99. The impressive 35 inch blade with single mini fuller next to the back edge is in superb condition and firm in the hilt. The hilt itself is in good order, the grip complete with twisted wire grip wire / bindings. The steel scabbard very good too and the blade sheathes / draws exceptionally well. A well above average example and with excellent provenance that this was once held by a trooper of General Lee's Confederate Army. Item reference 302. Further / full sized images available upon request.